We are hopeful that the river will return to safe paddling levels…so we are gearing up for mid to late summer and early fall floats on the Kansas River! Many are cleanup floats and are FREE. Get your name on our list before they fill up! 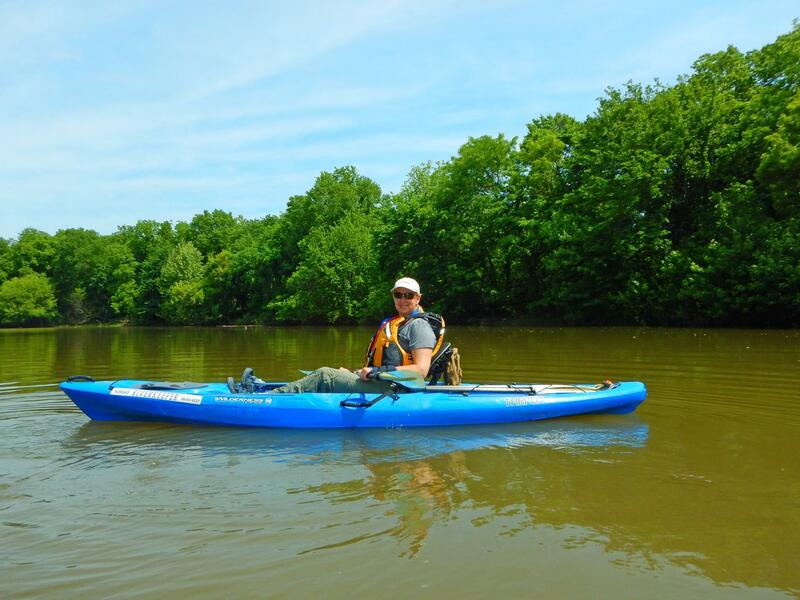 Friends of the Kaw has lots of opportunities to get on the river this spring and summer. Many of the floats are paid for by grants so boat rental is free on a first come, first serve basis – participants must RSVP. For educational floats scheduled by specific groups, any boats not used are available for the public to rent. RSVPs can be made two weeks before the float date. Folks with their own boats are welcome to join any float but should RSVP to Dawn, the Kansas Riverkeeper, in case there are last minute changes. Friday, July 3 – Mennonite Conference float from DeSoto to Cedar Creek from 2 to 5:30pm. Contact Dawn to inquire about available boat rentals for this float after June 19 or for more information. Saturday, July 11 – Cleanup Float from DeSoto to Cedar Creek from 9am to 1:00pm. We will provide 5 canoes and 5 double kayaks at no cost on a first come first serve basis but participants MUST RSVP with Dawn or at 785 312 7200. This is an activity of our Johnson County Stormwater Grant. This float is full! You can join us in your own canoe/kayak! Sunday, July 12 – Cleanup Float from Lawrence to Eudora from 1:00 pm to 6:00pm. Meet at the 8th Street Access Ramp. We will provide 5 canoes and 5 double kayaks at no cost on a first come, first serve basis but participants MUST RSVP with Dawn or at 785 312 7200. We will provide transportation to take participants back to Lawrence after the float. This is an activity of our Douglas County Natural and Cultural Heritage Grant. Saturday, July 18 – Cleanup Float – Cedar Creek to Edwardsville from 8:30 am to 4:00 pm. We will provide 5 canoes and 5 double kayaks at no cost on a first come first serve basis but participants MUST RSVP with Dawn or at 785 312 7200. This is an activity of our Johnson County Stormwater Grant. Sunday, July 19 – Eudora Community Float! Float begins at 1:00pm. This float is in partnership with Eudora Parks and Recreation! Sign up with Eudora Parks and Recreation! Sunday, August 9 – Cleanup Float from Lecompton to Lawrence from 1:00 pm to 6:00pm. We will provide 5 canoes and 5 double kayaks at no cost on a first come, first serve basis but participants MUST RSVP with Dawn or at 785 312 7200. We will provide transportation to take participants back to Lawrence after the float. This is an activity of our Douglas County Natural and Cultural Heritage Grant. Saturday, August 22 – U.S. Military Group, Fort Riley, Kansas. Float section undetermined right now, but will be in the upper end around Fort Riley from 10 am to 4 pm. Contact Dawn to inquire about available boat rentals for this float after August 8 or for more information. Saturday, September 5 – Nowland Family Float, Eudora to DeSoto, 1:00 pm to 6:00 pm. Contact Dawn to inquire about available boat rentals for this float after August 20 or for more information. Sunday, September 13 – Cleanup Float – Edwardsville to Turner, 1:00 pm to 7:00 pm. We will provide 5 canoes and 5 double kayaks at no cost on a first come first serve basis but participants MUST RSVP with Dawn or at 785 312 7200. This is an activity of our Unified Government of Wyandotte County Grant. Sunday, September 20 – Kansas Women’s Environmental Network Float from Lecompton to Lawrence from 1:00 pm to 7:00 pm. Contact Dawn to inquire about available boat rentals for this float after September 4 or for more information. 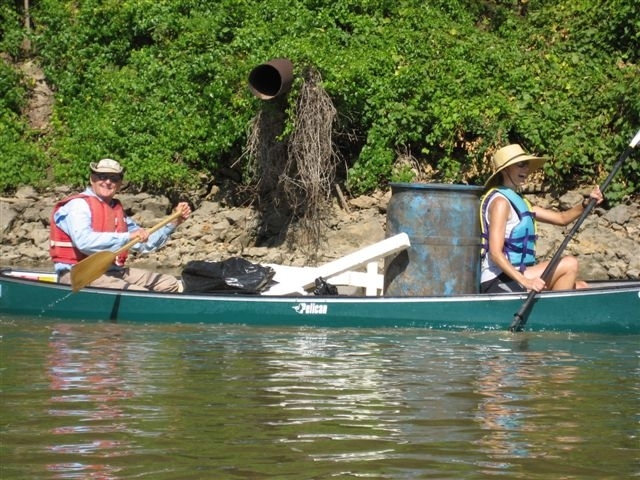 Sunday, September 27 – Cleanup Float – Turner to Kaw Point, 1:00 pm to 7:00 pm. We will provide 5 canoes and 5 double kayaks at no cost on a first come first serve basis but participants MUST RSVP with Dawn or at 785 312 7200. This is an activity of our Unified Government of Wyandotte County Grant. Saturday, October 3 – Konza Rotary Float in Manhattan area from 10:00 am to 4:00 pm. Contact Dawn to inquire about available boat rentals for this float after September 20 or for more information. Sunday, October 4 – Cleanup Float – Edwardsville to Turner, 1:00 pm to 7:00 pm. We will provide 5 canoes and 5 double kayaks at no cost on a first come first serve basis but participants MUST RSVP with Dawn or at 785 312 7200. This is an activity of our Mid American Regional Council Grant. Sunday, October 11 – Shawnee Mission Unitarian Fellowship Float from Cedar Creek to Lecompton from 1:oo pm to 5:00 pm. Contact Dawn to inquire about available boat rentals for this float after October 1 or for more information. *We are also asking for Volunteer Float Assistants for our float trips…if you are an experienced paddlers and you have your own kayak…and you are interested in floating with Friends of the Kaw…please email the Riverkeeper for details!